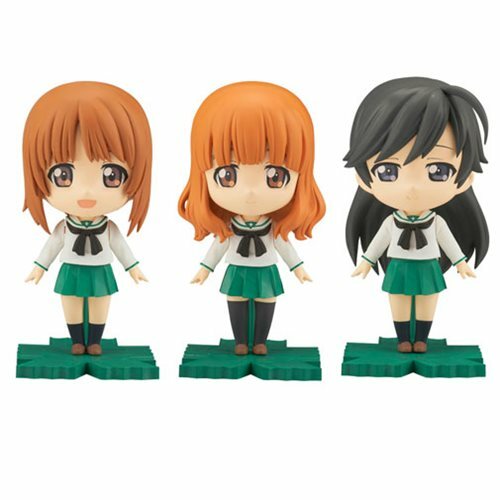 The girls from Girls Und Panzer are coming to the Petiture-rise series! Use this kit to create Miho, Saori, and Hana! Each kit comes with the alternate Panzer jacket outfit, display base, and optional expression stickers! The Girls Und Panzer Miho Saori Hana Petiture-rise Model Kit includes 3x display base, 3x body, 3x Panzer jacket, 10x runner, 2x sticker sheets, and 1x instruction manual. Measures about 3 1/2-inches tall.